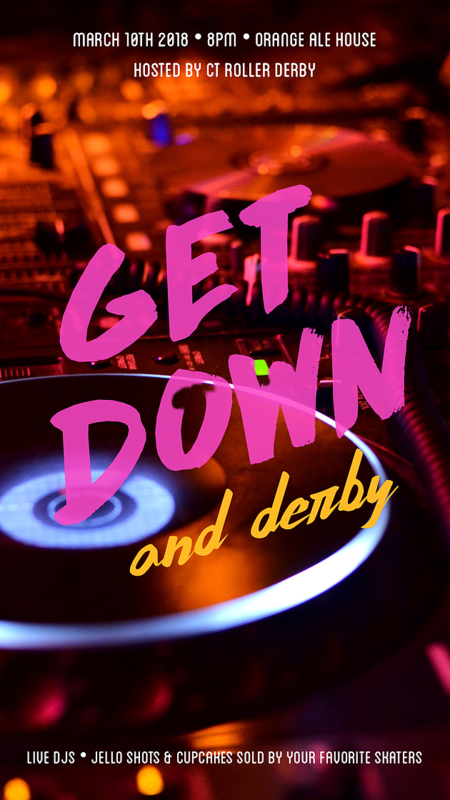 CT Roller Derby invites you to join us for the most fun you can have off eight wheels: Get Down and Derby! Help us kick off our 2018 season with a mega dance party featuring two live DJs and cupcakes & Jell-O shots sold by your favorite skaters. Admission $5 cash at the door.